AAA Action Doors provides local businesses and homes across the Las Vegas, NV valley with extraordinary garage door services. We are fully licensed and insured to run our locally owned and operated business. Having nearly 40 years of experience in the industry, the owners have committed to upholding a high moral standard, family-friendly customer service, and superior execution on all services rendered. Utilizing top grade products, equipment, supplies, and tools, AAA Action Doors technicians amplify their expertise and skills to deliver premium performance. 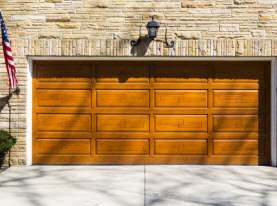 Garage doors are by far the largest moving component of your home. With the garage door being a popular entry point for many homeowners, and the garage door being a delivery point for many businesses, it is rather important to keep in shape. AAA Action Doors of Las Vegas, NV proudly offers our valued clients a comprehensive garage door inspection. – In Depth Visual Garage Door Inspection. 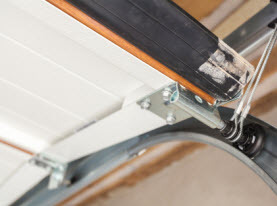 Starting with the garage door closed, AAA Action Doors experts meticulously go over the rollers, springs, cables, pulleys, and mounting hardware; the hinges for example, and look for any signs of wear and tear, damage, or loosening. We then open the door and double check the previously named components to ensure flawless functioning. – Garage Door Balance Test Inspection. AAA Action Doors technicians will have the garage door closed and disconnected from the automatic opener. The door is manually opened and checked for smooth and minimal resistance during the activity. The garage door should also remain opening on its own accord during this exercise. If the door does not remain open, or the garage door did not manually open smoothly and had much resistance, the garage door may be out of balanced. – Garage Door Safety Inspection. 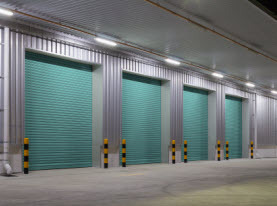 Automatic garage doors have been legally obligated to incorporate a door reversal in the event something crosses the safety beam while the garage door is closing. During AAA Action Doors we will conduct a test to ensure this specific safety feature is fully functioning. The photo electric eye is thoroughly inspected and tested for safe operation as well. – Garage Door Opener. During AAA Action Doors garage door inspection, our professionals will thoroughly check the garage door opener system and run diagnostics to ensure efficiency. – Garage Door Wear & Tear. 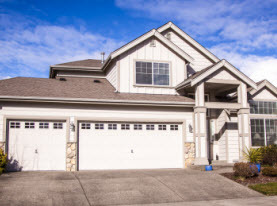 If there are any windows engineered in the garage door, AAA Action Doors will inspect for any signs of deterioration. Panels are inspected for any signs of warping, and looked for dents and other such abnormalities that can contribute to a malfunctioning garage door. Following the completion of your Greater Las Vegas, NV home or business’s garage door inspection, AAA Action Doors technicians will present the report to you and consult with if any services should be performed, under your direction, we can make any necessary repairs accordingly or perform some maintenance to ensure your garage door is at peak performance. For your comprehensive garage door inspection, contact AAA Garage Door today!